Jean was employed in a family run small food manufacturing business as the Quality Control Manager. After a period of time she became aware that a certain similar, but cheaper and inferior ingredient, was being substituted in a product contrary to what was on the label and Government Regulations. Jean was concerned that the knowledge for this scam went right to the top of the business so felt afraid to approach them. 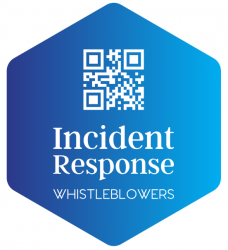 By making inquiries, Jean was able to access the ‘whistle-blowers’ line of the relevant Government Agency and relay her information anonymously to them thus bringing this serious problem to the attention of the food safety authorities.